The New BCST Skills Working for with Babies Series is a comprehensive set of classes intended to introduce birth workers, craniosacral / bodywork practitioners and other caregivers to this unique skill set for supporting babies and their parents. These skills provide a gentle, compassionate and highly effective way to help babies, their moms and dads resolve the primary and secondary effects of prenatal and birth traumas. These painful effects may include latching-on difficulties, immune, digestive and respiratory challenges, ear infections, cranial, spinal and pelvic compressions, umbilical shock, learning dysfunctions, bonding and attachment disruptions and any number of other painful conditions that may thwart the baby’s ability to grow and thrive, and dampen the potential for the newborn experience to be as magical and joyous as it might possibly be for both baby and her family. December 1-3, 2017, from 10:00 am to 6:00 pm. Only in the past 30 or so years have we begun to understand and advocate for the well-being of prenates as sentient (aware and conscious) beings. This workshop will help us deepen into that understanding, and will introduce us to perceiving prenates as “fluid beings,” and thus vulnerable to “fluid shock and trauma.” This particular type of suffering, unique to prenates and newborns, can have an insidious effect on the little one’s autonomic nervous system (ANS) development and can result in symptoms and patterns that may last a lifetime. We’ll discuss and work with Biodynamic skills for resolving fluid shock and trauma in prenates and newborns. Gary Peterson is a Registered Craniosacral Therapist (RCST ®) who has been teaching and practicing energy therapies for over 30 years. 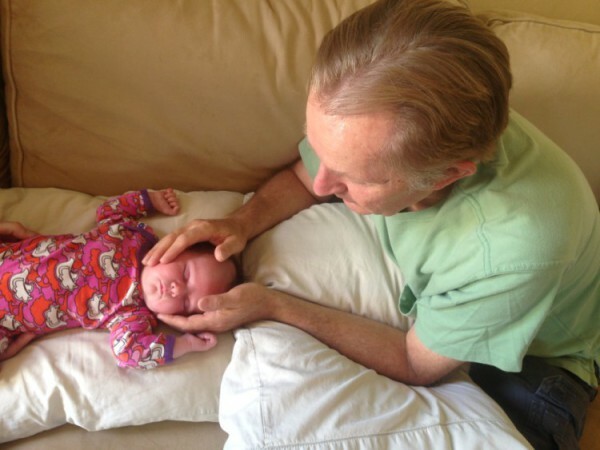 He teaches Craniosacral Therapy trainings, Settling trainings and Working with Babies classes at various locations around the United States, as well birth surround workshops and other therapeutic work for the nervous system. His teaching and private practice are inspired by his strong desire to understand and alleviate the deep causes of suffering found with stress and trauma to the nervous system. He is especially motivated to help babies, moms and their families to resolve the crippling effects of traumas and stresses that happen during gestation, birth and early neonatal life. Gary studied Biodynamic Craniosacral Therapy with Franklyn Sills, a pioneer in the field of Craniosacral Biodynamics and author of several books in the field. Gary also studied Prenatal and Birth Therapy with Ray Castellino, himself a pioneer in the field of resolving birth traumas and imprints for babies and their families. Gary’s first book, Settling: Simple Ways to Calm Your Nervous System, will be published in 2015. This self-help manual gives you a set of vital skills for regulating your nervous system to experience balance and relaxation. Gary and his wife Bonnie have 3 grown children and live in Petaluma, California.